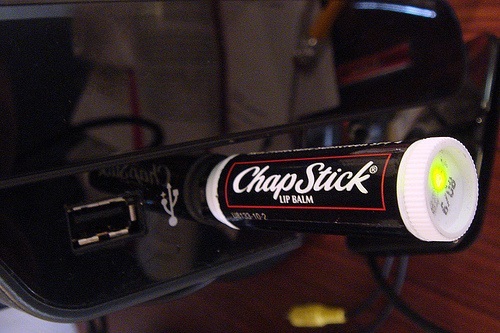 When you are done lathering up those lips for a night out on the town, rather than tossing that used Chapstick container, mod it into a flash drive. This also serves as a more efficient theft deterrent. 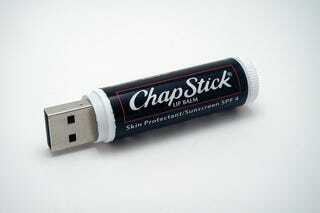 A tube of Chapstick looks a little less valuable than a titanium flash drive with 2GB written all over it. Jump for another picture.